These wire wrapped earrings are the furthest thing from boring! They’ve got pop and zing, full of fresh color! Calling these “Lemonade” is anything but sour because lemonade is all about what you make it! What you’ll love: these earrings are beautiful and different, but all of the colors remind are a play off of different flavors of lemonade I’ve tried, blueberry, lavender, and even blackberry. 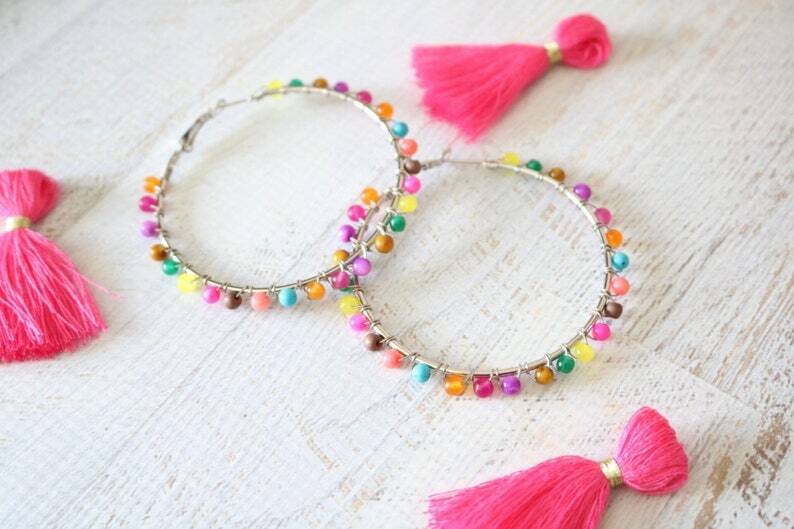 These vibrantly colored accessories can add the perfect flavor to any outfit of the day!